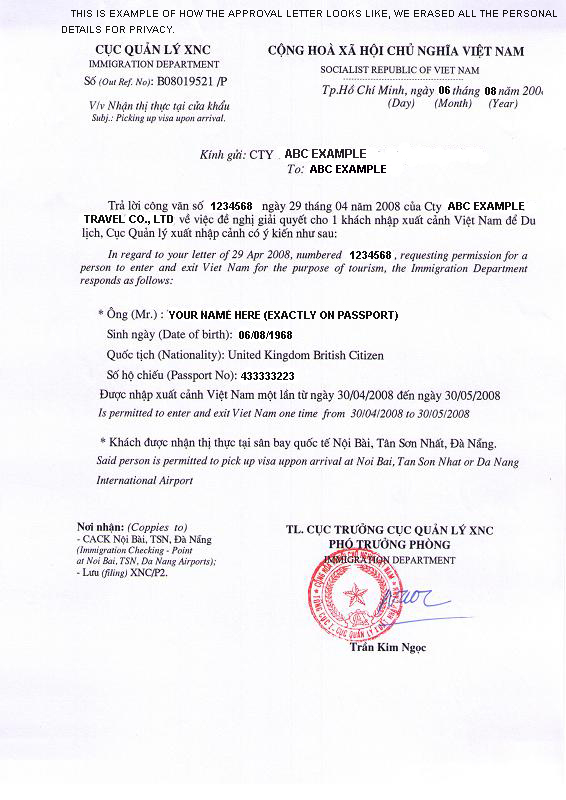 It is the policy of EasyVietnamVisa.com to protect and preserve the privacy of its users and customers, and the confidentiality of the information they provide, subject to conditions described below. To demonstrate our commitment to privacy we encourage all of our current and prospective users to read this Privacy Statement carefully before using the system. EasyVietnamVisa.com is committed to providing the highest level of security and privacy. All transactions of user authentication including credit cards processing are conducted using SSL (Secure Socket Layer) technology, supported by your browser, which encrypts all information that is sent to us. Our security certificate has been verified by DreamHost.com, Inc., using the best commercially available encryption on the Internet. We take every precaution to protect personal information from loss, misuse, unauthorized access, disclosure, alteration or destruction by implementing policies and procedures to ensure that personal information is kept only for the purposes for which it has been gathered. The information collected from or about our customers is used exclusively for the purpose of providing better service. It is never released to third parties except when expressly permitted by the customer. Any information you provide is completely confidential and will be protected from unauthorized use. Your email is used only for the purpose of sending the information confirmation and approval letters. Copyright © - Easy Vietnam Visa. All Rights Reserved.